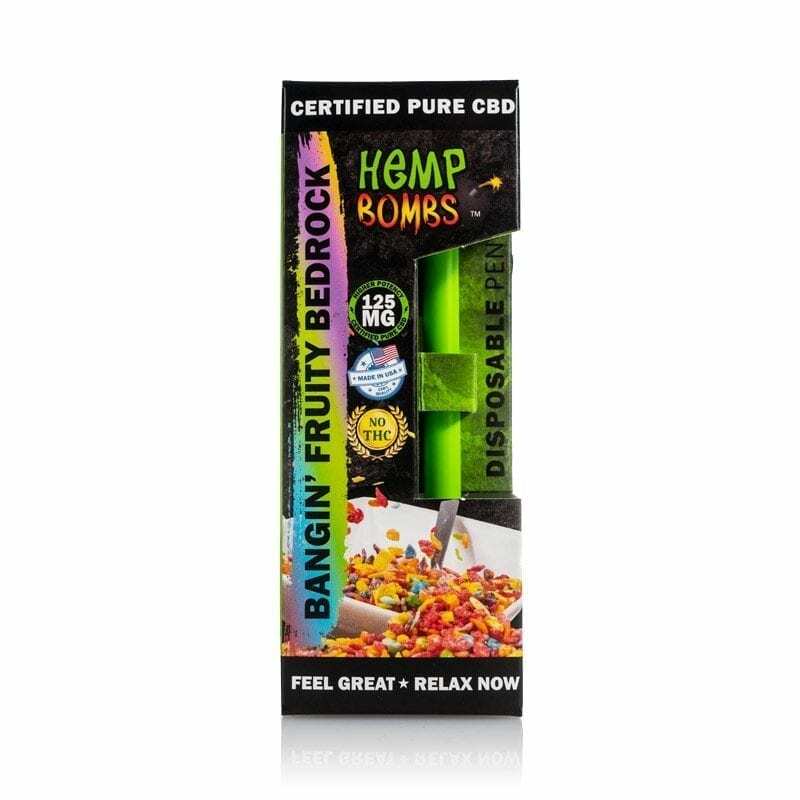 Hemp Bombs CBD Vape Pens come ready-to-use and are pre-filled with our premium CBD. No charge or battery required, just pull, inhale and experience the benefits of CBD. Our CBD Vape Pens may offer you a better night’s sleep, reduced anxiety and pain relief. Available in delicious Exotic Watermelon Kush, Wild Blueberry Jam and Bangin’ Fruit Bedrock, our Disposable Vape Pens also come in three various concentrations.